Visualization of Micro Tunnelling Systems. VBASE Automation Story. Micro tunnelling systems from mts visualize with VBASE. 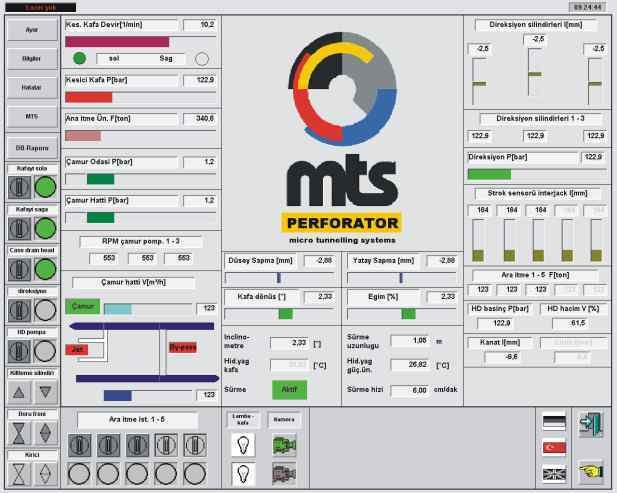 mts Perforator GmbH is a developer and manufacturer of micro tunnelling systems with a diameter of 0.2 to 3 meters. The manufacturer relies entirely on VBASE for the visualization of its worldwide used tunnel boring machines. 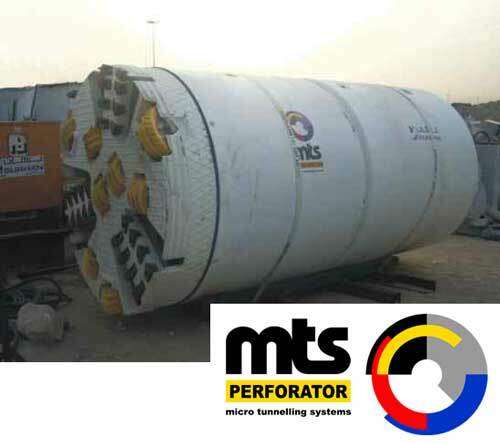 The Micro Tunnelling Systems of mts Perforator GmbH are modular, with different components, and allow the complete tunnel construction with only one entrance and exit shaft each. The plants are in use around the globe and are used, for example, for the construction and expansion of gas and water supplies or sewage pipes with a diameter of up to 3 m and a length of 1 km and more. The tunnelling systems consist of a drill head with trailed rotor, a conveying system for the removal of the excavated material, a pressing station and the central part, the tunnelling container, in which the control station for the steering of the plant is located. mts tunnelling systems are in use in Russia, USA, Kuwait, Malaysia or New Zealand, among others. The tunnelling container houses the control station from which the complete system and in particular the drill head is controlled. A VISAM Industrial Panel PC type VIS-IPPC-9171G was used as the control medium. The industrial computer is equipped with a 17-inch touch screen and, thanks to its robust design with an aluminium front and hardened glass pane, it is ideally equipped for use on the tunnel construction site. 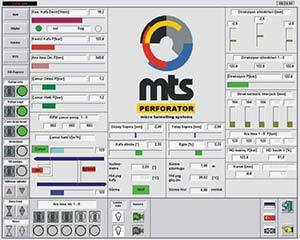 VBASE is used for control and visualization of the machine in cooperation with special control control software for tunnel boring machines. The software duo guides the drill head precisely to its destination via gyro or laser control. VBASE provides the graphical interface that displays all important operating data on the main screen. 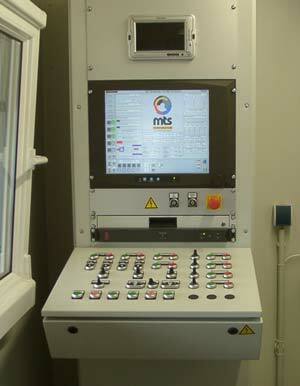 On further screens the machine operator can make basic settings on the machine and call up additional information. Thanks to the modular system architecture, further different control systems can also be integrated. Since the control of all mts systems is largely identical, the costs for operator retraining when switching to other systems are eliminated. For the worldwide use of the machines, the complete visualization has been designed multilingual and is available in numerous languages. The desired language can be selected and switched at runtime by touching the respective country flag on the touch screen. Through the use of the latest industrial computer technology and high-end process visualisation, mts enables a cross-system control procedure for its tunnel boring machines. The intuitive, clear and multilingual operation via touch screen prevents operating errors and reduces training costs to a minimum.